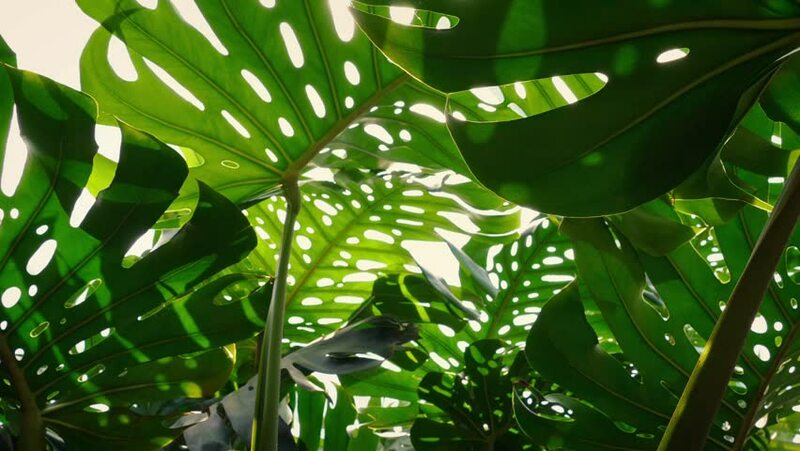 4k00:12Looking up at lush jungle plants (deliciosa monstera) in 4k. Natural light streams through the holes in the leaves of the dark green philodendron. Low angle shot represents wanderlust & travel blogs.